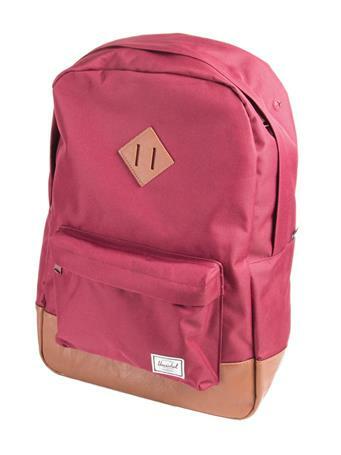 The Herschel Settlement backpack is perfect for any student of any age. 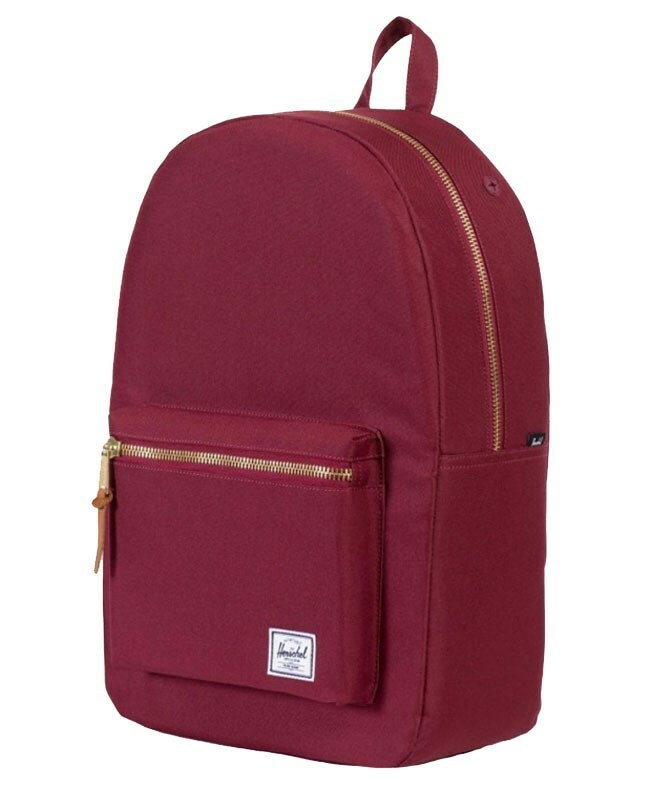 This maroon Herschel backpack has signature striped fabric liner and a 15" laptop sleeve. 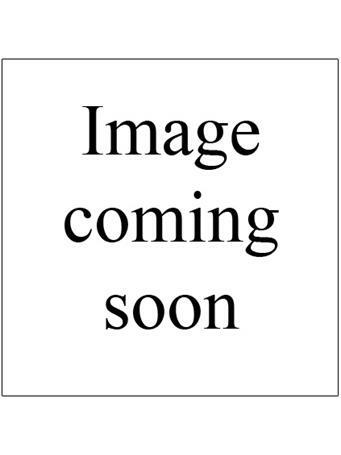 This backpack also features a front storage pocket with a key clip, and an internal media pocket with a headphone port.